So you’ve completed your plan for a minimum viable product (MVP) and created your high-fidelity prototype. The time to take your MVP into development has arrived. The development side of an MVP is the longest and most resource-intensive phase. This part requires the design team and programmers to sync up and begin that all-important crossover phase from design to development. Selecting features to include in your MVP is a difficult task, as it can be hard to determine exactly which features will deliver the best value to your initial users and provide the best learning experience. The important thing to remember is that you should only choose features that align with the goals of your MVP, which are to validate ideas, test assumptions, gain user feedback, and showcase the potential of your application to investors. The feature-selection process is an activity conducted by both you and your technology partner. By understanding your end users, goals, and vision for your application, the designers and developers will be able to identify features that are essential to delivering the best outcomes for your MVP. Based on their experience, they will also be able to combine certain smaller features together to create one larger feature that delivers the same results, but saves you both development time and money. Another activity developers may undertake is outlining each proposed feature and stating its benefit and respective development time. This activity not only provides you with a clearer picture of how long each feature will take to develop, but it will also help make the selection process easier, as you will be able to see which features will deliver the required outcomes in the shortest time possible. There is a right way and a wrong way to build an MVP. The image below is well known among the software-development community and perfectly illustrates the MVP-development process. MVPs should be built to deliver users the most complete experience possible from the most minimum set of essential features. The idea is to build and ship a working product that allows the users to complete their goals in the fastest way possible, and then allows them to do it quicker with each subsequent release. In the image above, the skateboard (which represents a release) helps the user complete their goal, whereas the wheel does not. By starting off with the skateboard, you are providing your users with a viable and working product that allows them to complete their goals, and also allows you to gain valuable feedback. 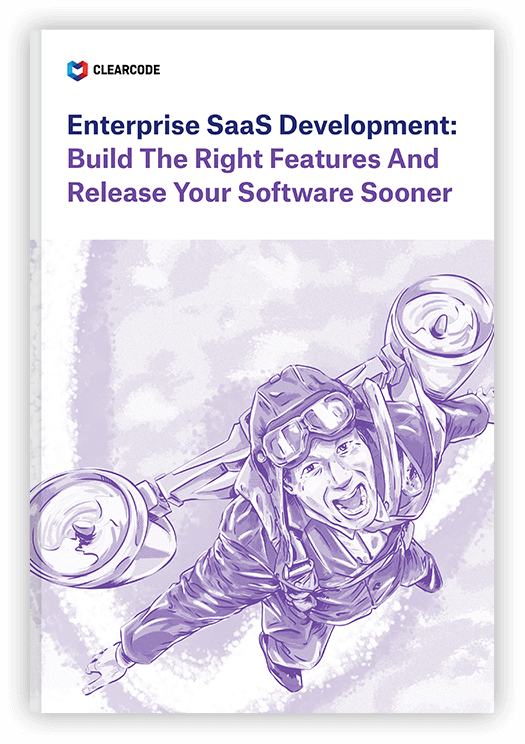 From there, you can build upon your product and offer users with a better solution at every release. Agile is a software-development methodology that is rivaling traditional methods due to both the successes and advantages it affords developers and clients. 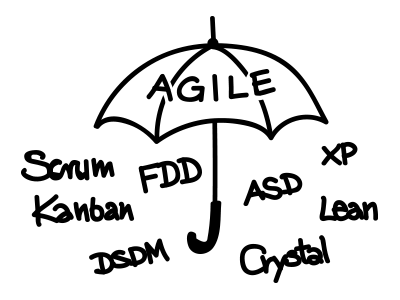 There are a number of different methods and practices that fall under the Agile name. Source: Ambysoft, 2013 IT Project Success Rates Survey Results, 2013. Quicker MVP release: Change and redirection in software development are common occurrences, and MVP development isn’t immune to them. One of the main advantages of agile is that change and redirection are expected, and therefore are easier to manage. Higher-quality product: As agile is a progressive method, any bugs or issues that appear in the development phase can be dealt with and removed straight away. Also, obstacles can be maneuvered around more easily, and new opportunities to make the application better can be identified and implemented. Clearer communication and greater transparency: This soft skill is often neglected, but is actually just as important as any of the technical aspects of development. Agile encourages client involvement and feedback right from the beginning and promotes open channels of communication. As a result, the client is more engaged in the project and is able to contribute ideas and provide direction. Testing is a vital part of software development, but is often seen as a time-wasting activity by most clients, especially when developing an MVP. The development time frame associated with MVP development is considerably short, about three to four months in most cases, so the desire to skip over seemingly unnecessarily tasks is much higher. However, application testing needs to be considered part of the development process, not as a separate task. The quality of an application is only as good as its ability to pass tests. The testing process in software development aligns with its method. In agile, application testing is a continuous process and occurs throughout the application’s lifecycle – from when the first pieces of code are written, to the main development phase, right through to the introduction of new features and functionalities. The advantages of continuous testing are that the MVP will be developed faster and released with fewer bugs. Although they may not seem to be that important on the surface, payment methods play a large role in the overall development process and can heavily affect the outcome of the MVP project. The hourly-rate and fixed-bid methods coincide with the agile and waterfall methods respectively, and therefore impact the process and success of the MVP in similar ways. A better developer-client relationship: Clients are able to see exactly where their money is being spent and have more transparent insights into the project’s progression. The hourly-rate model allows the client and developers to work together towards a common goal, rather than against each other, like in the case of the fixed-bid model where the developers are trying to build the MVP in the shortest time possible to maximize profit and the client is trying to get the most bang for their buck. Ability to change direction: As the project is billed on an hourly basis, the developers and client have the possibility to change the project’s direction if certain circumstances demand it, or if a new, better direction is discovered. Faster development speed: Because developers don’t have to spend a lot of time planning out the project to avoid risk, unlike the fixed-bid model, they can start working on the project earlier, provide working features quicker, and gather feedback from the client that will assist in shaping the remainder of the MVP. Building an MVP can be a challenging activity, unless you have the right Technology Partner. Here at Clearcode, we assume the role of Technology Partner to startups to assist them in all areas of the MVP process – from planning, to design and development, through to post-launch application support and monitoring. To find out how we can help make your MVP project a success, contact us for a free quote by clicking here. .